Never assume you can have the last laugh on IBM's predictions. In fact, seldom assume IBM is off-base about ways in which technology might move forward. Not that IBM is the only wised-up voice to give pause. But back in March IBM was spreading the word that it saw quantum computing going mainstream within five years. IBM Research posted a video with notes that said "Quantum computing will no longer be exclusive to the scientific community, but instead will be used extensively by new categories of professionals and developers looking to this emerging method of computing to solve problems once considered unsolvable." The five-year mark is still way off in the calendar but, OK, it is now fitting time to play fast-forward, and, like, really fast-forward. 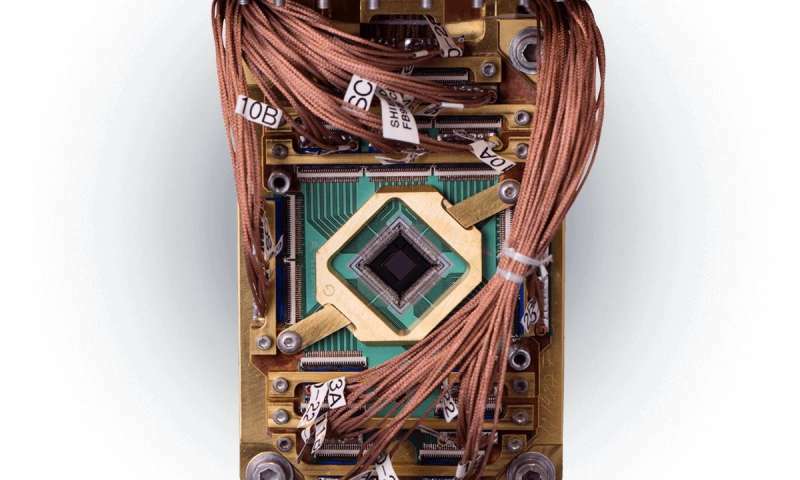 Companies focused on quantum computing want people to understand what is to come. Sean Captain in Fast Company brought home the nature of what may change in terms of traditional computing as we know it. "Until recently, quantum computing has largely happened in the scientific underground–with large systems housed inside refrigerated cabinets at university and government labs, or in the skunkworks at cash-rich companies like Google." Meantime, the idea is not lost on some tech giants to let the plain folks kick the tires of what is to come. Everyone gains including the tech giants who want to take quantum computing out of the labs. Fast Company said on Thursday that D-Wave, IBM and Rigetti were enabling the public to run "apps on cloud-based quantum computers." HPCwire said, "The idea all three companies share is to leverage cloud delivery of training and quantum compute time to accelerate development of a quantum computing ecosystem, particularly among developers and users unfamiliar with quantum computing." The new online service, called D-Wave Leap, for example, offers access to educational materials, programming tools, user community, and 1 minute of realtime quantum computer operation, said Captain. HPCwire said its "brief session on Leap suggested it's an easy-to-navigate platform rich in resources for relative novices and those more experienced with quantum computing concepts." Andrew Tarantola in Engadget similarly noted that D-Wave Systems was "opening access to its quantum computer farm to the public" via a web portal, the Leap Quantum Application Environment. During a demo in San Francisco, Engadget was told by D-Wave's Alan Baratz, EVP of R&D and chief product officer, that Leap was "an environment that will provide any and all developers immediate, free, real time access to a live quantum computer." And now for some voices telling us to sober up. Fast Company quoted Chirag Dekate, a Gartner analyst. "But if you speak with the realists in the space, what they will tell you is…it'll allow end users to explore and figure out that quantum computing is just not ready for primetime yet." On the other hand, the alternative to doing nothing is starting to do something. According to Fast Company, Dektate agreed that "opening up these computers–whatever quantum technology they use–could have a huge benefit to advancing the nascent technology. " Thinking in a quantum mindset? That alone may have merit. Neophytes are not the only ones who can get prepared. The security sector will have its own homework for the occasion. Witness a news item from eWeek on Thursday that BlackBerry, growing revenue in security software development and licensing, was "moving into securing the quantum computing world." It is "adding a quantum-resistant code-signing server to its lineup of cryptography tools," said the report, and this "will allow software to be digitally signed using a scheme that will be hard to break with a quantum computer, CTO Charles Eagan told eWeek and a group of IT analysts." So that is the aspect of quantum computing that will need industry's concerns, as it "gives bad actors the potential to crack traditional public key cryptosystems and then attack the underlying data they protect," Eagan said. TechCrunch spelled it out clearly. "Quantum computing represents tremendous promise to completely alter technology as we've known it, allowing operations that weren't previously possible with traditional computing. The downside of these powerful machines is that they could be strong enough to break conventional cryptography schemes."